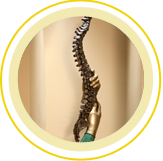 Our fellowship-trained spine surgeons perform all types of spine surgery, including laminectomy, neck surgery, spinal fusion, disc replacement and other operative procedures for spondylolisthesis, kyphosis, scoliosis, degenerative disc disease, flat back syndrome and other back and neck conditions. 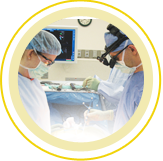 Whenever possible, our physicians use minimally invasive techniques to reduce recovery time for the patient. Many procedures are performed using advanced O-Arm technology, a 3-D imaging system that helps increase surgical accuracy and improve patient outcomes.